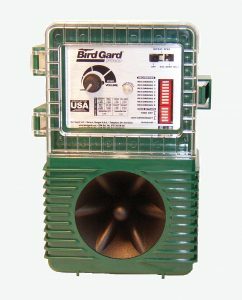 Electronic bird repellers: pigeons, starlings, gulls, crows, magpies, etc. 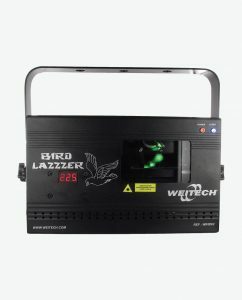 WEITECH electronic repellers are recommended for keeping birds away (pigeons, starlings, gulls, crows, magpies, etc.) without any chemical products or odours. 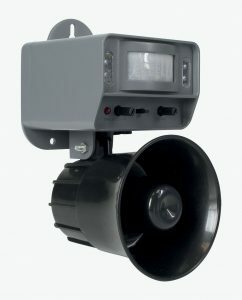 Used to protect buildings indoors and outdoors, WEITECH ultrasonic devices generate sounds of variable frequency and intensity to repel pests in the most environmentally friendly way possible. The purpose is to disturb their habits and force them to flee. All our pest control devices are constantly developed by integrating new technologies and new ideas. 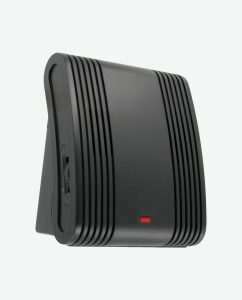 Modern and easy to use thanks to their Plug-and-Play system, they keep birds away without any difficulty. With our long experience in pest control, Pest Control Europe undertakes to comply with the most stringent European standards, including the RoHS environmental standard. WEITECH pest control devices have a two-year warranty. In addition, we provide after-sales service which you can use in the event of a fault or for any questions about operating your device. Pest Control Europe also offers a range of products for getting rid of insects, rodents (mice, rats, field mice, etc.) and game animals. Are you a dealer or a private individual? WEITECH products are distributed in more than 30 countries in Europe, Africa and the Middle East. 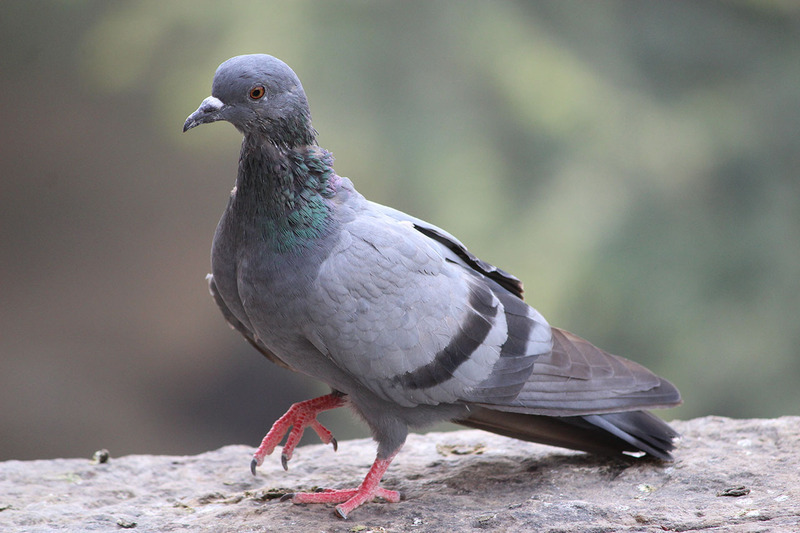 Pigeons (genus Columba) are birds in the Columbidae family which originally lived in terrestrial environments, but some species spread around lowlands and cities. They mainly feed on grain, but have a very varied diet around locations where food waste is available to them: they are sometimes called urban refuse collectors. Weighing 200 to 600 g on average, these birds belong to several species. They occur on all continents. 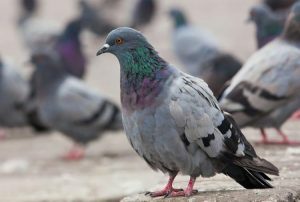 Pigeons live for 5 to 10 years and are (generally) monogamous. The male and female share all tasks, including feeding their young with crop milk which they produce from a gland in their crop. This bird is also a table companion in city centres, where their reproduction has to be limited. Over recent years, towns and municipalities have had pigeon lofts. 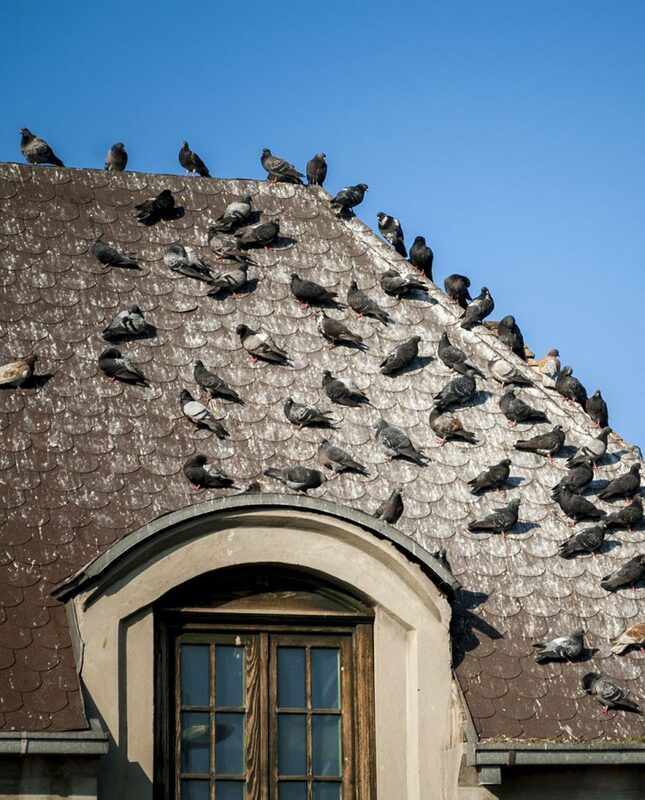 This is particularly the case in Ile-de-France, where several dozen towns have had pigeon lofts since 2009. The purpose of the pigeon lofts is firstly to regulate pigeon populations, but sometimes also to develop activities in the town centres. These pigeon lofts are managed by local authorities via specialised companies or workplace integration associations. 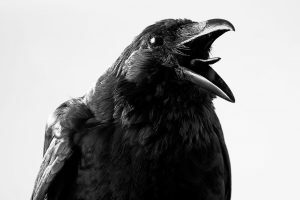 Crow is a vernacular name for several bird species of the Corvus genus. The term crow is attributed to the smallest species in this genus, the largest being referred to as the raven. The term comes from the vulgar Latin *cornicula, derived from cornix . This term also designates an original monotypic corvid genus: Zavattariornis. The common magpie (Pica pica) is one of the best-known large corvids. They can easily be identified by their shape and their characteristic black and white plumage. In France, they are also known as the ageasse (Poitiers dialect) or ajaça (Limoges dialect) in south-west France or agace (agaça) in Provence. The common magpie has black plumage on the upper body at the head, the chest and the area under the tail, while the plumage is white on the belly, the sides, the primary feathers and at the base of the wings. 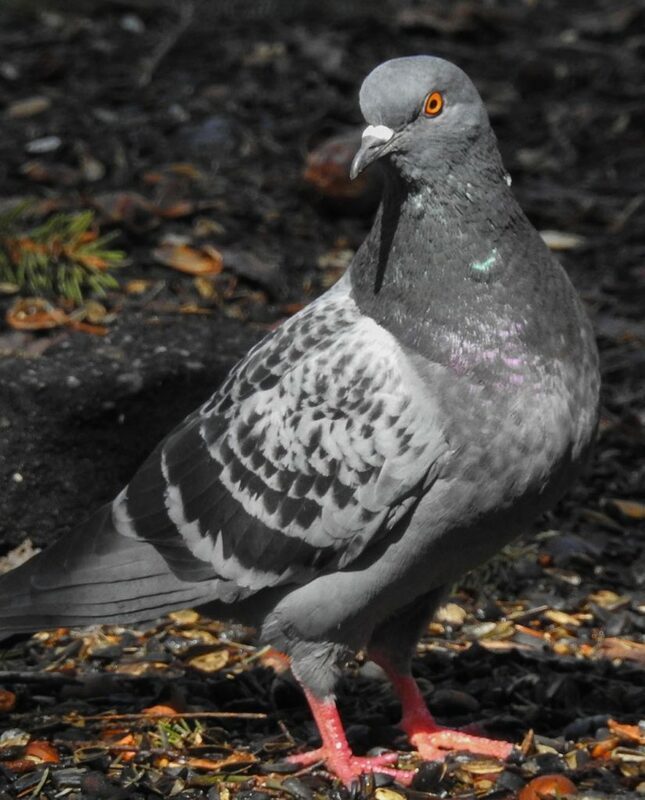 The black plumage shows a metallic sheen, bluish on the wings, purplish on the body and the head and greenish on the tail due to iridescence on the feathers. The beak is black, as are their feet and the irises of their eyes. This large bird (44 to 56 cm long) has a long tail (20 to 30 centimetres). Its wingspan varies from 52 to 60 cm and its weight from 200 to 250 g. The male is slightly larger than the female, but this species is not really sexually dimorphic. It particularly likes areas with copses, small woodlands and parks and gardens in urban areas. It can therefore be found in all types of environment except dense forest. 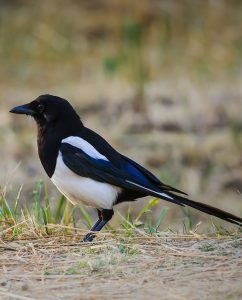 The common magpie is classed as a pest species in most French departments and its population can therefore be regulated by trapping throughout the year. 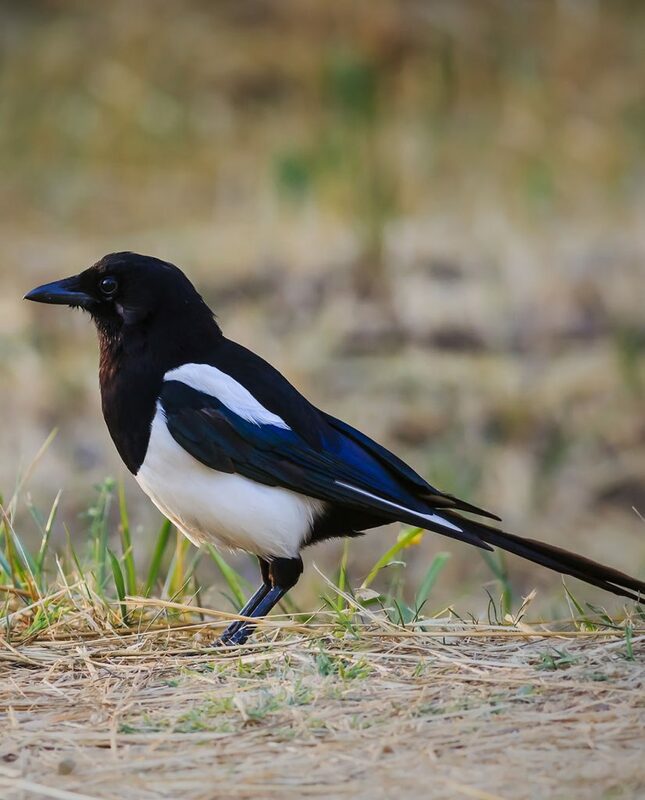 The magpie is classified as a pest due to the fact that it feeds on other species, particularly small game (chickens, eggs, small game animals, small birds).